Our biggest challenge was getting this profound message across quickly. If you have ever tried to explain anything in less than a minute, let alone you core values and life long dream, you would know it is VERY difficult in such little time! 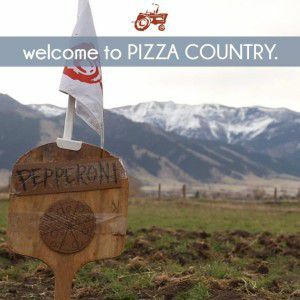 We decided to settle on a very basic concept: Farm to Pizza. We had our talented buddy Joel Martin direct and shoot the entire short. We got up at the crack of dawn and visited our favorite dairy farm, Amaltheia, (where we source our goat cheese) to get er’ done with the rising sun. Pigs, goats, dogs, camera men, actors, and planted pizza slices surrounded us. We planted the slices in rows, and began the fun. We chose a humorous angle because it represents us as who we are. Most shorts we ever see on local businesses take themselves far too seriously, and if anyone knows Red Tractor, they know it’s about fun. 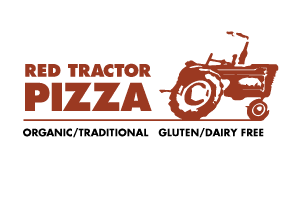 Farm to Pizza means a lot to us as farmers and gardeners ourselves… it’s who we are and what we do. Though we did not take first place overall, we did place in our category of Food and Beverage. It was such a learning experience and a massive outpouring of love from our friends, family, and customers. 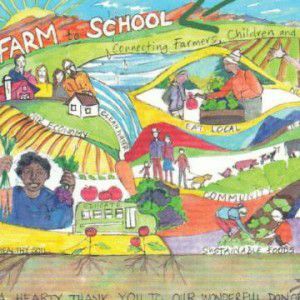 We will continue to reach for that mural, and definitely not stop spreading the knowledge and power of our farmers. Be sure and watch the video here!